If you’re on Pinterest of Facebook I’d really love it if you could use one of the buttons above. Thanks so much! Follow me on Pinterest by clicking here. It’s National Peanut Butter Day! 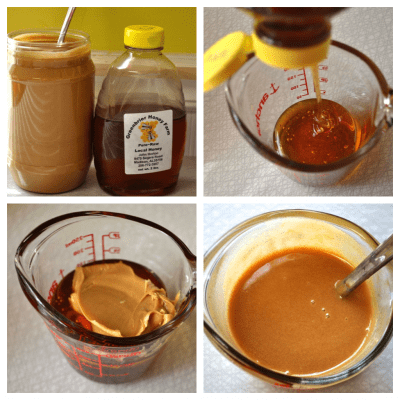 My family is made up of a bunch of peanut butter fanatics so when I realized what day it was I dropped what I was doing and rushed into the kitchen to mix up a batch of this delicious syrup so to show you how easy it is to make and some of the many uses for it. 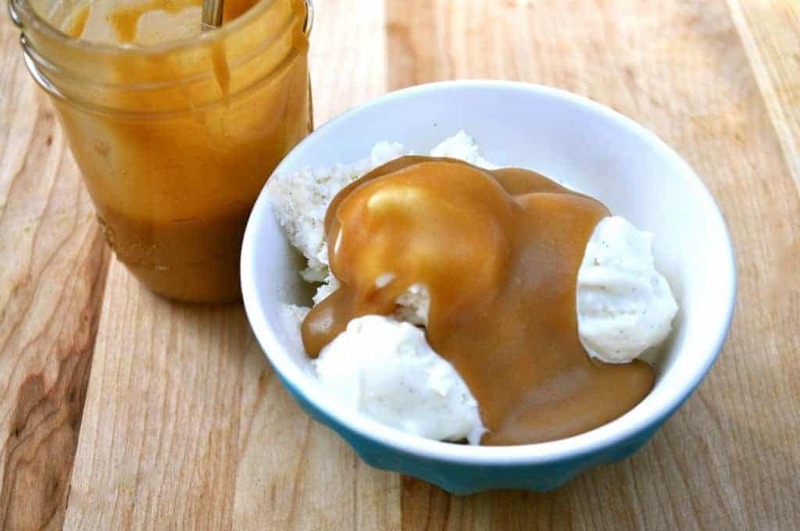 This very versatile recipe has a simple formula: 1 part peanut butter to 2 parts syrup. The syrup I’m using in this post is Honey but you can also use maple syrup, karo syrup or even pancake syrup in it’s place. Place peanut butter and honey (or whatever syrup you’re using) in a microwave safe bowl or measuring cup. Heat for 30 seconds in your microwave, stir. Heat thirty seconds more and stir until smooth and creamy. But it’s also amazing over pancakes. Be sure and try it on biscuits, waffles, french toast, regular toast, and if all else fails, just eat it with a spoon! Leftovers can be stored in the fridge. This is a peanut butter lover’s heaven! Surprise your family tonight with this delicious treat! 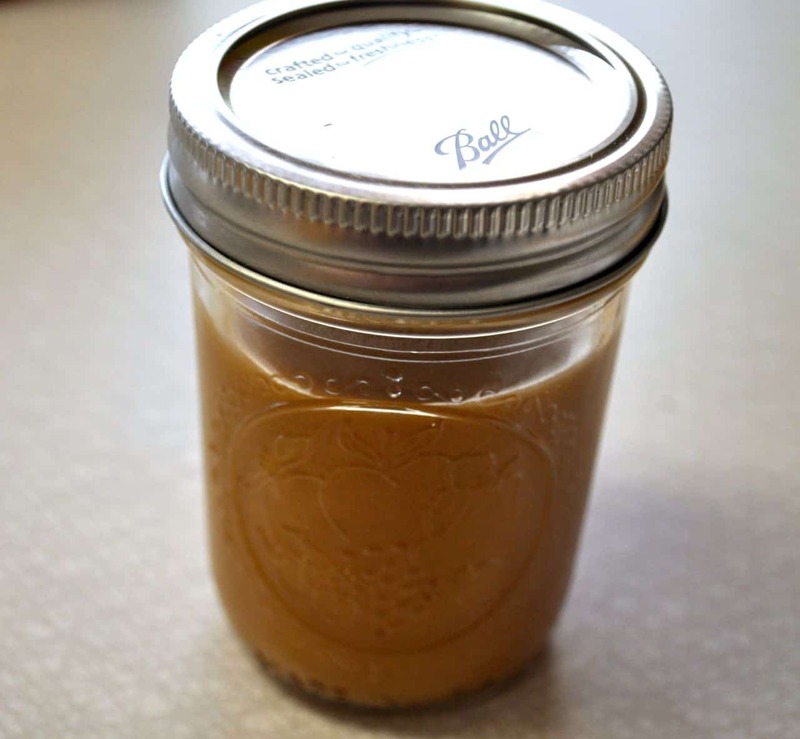 In microwave safe bowl or measuring cup, combine syrup and peanut butter. Microwave for 30 seconds. Stir. Microwave thirty seconds more. Stir until creamy and well combined. Excellent over biscuits, pancakes, french toast, waffles, toast, and ice cream. Leftovers can be stored in the refrigerator. be sure and click here to visit my Treasure of Peanut Butter Recipes Post! another opportunity in which to rejoice and be thankful. Submitted by Kim. Click here to add your quotes to our collection! We’ve done this for years, just mix a little peanut butter and syrup on plate and spread on hot biscuits! I think this just might be the eighth wonder of the world, don’t you? LOL! Bill, you had me for a second. I thought “WHAT?” lol. Love ya Brother Bill! Thank you for this simple but oh so delectable sweetness to jump start your day. Peanut Butter is hubby’s fave so bet he won’t say “honey you know I don’t eat breakfast” when I put this plate in front of him this weekend! My Mamma used to make peanut butter & Karo syrup sandwiches a lot of the time instead of peanut butter & jelly. She just didn’t make it quite as thin as the syrup. My grandson will love this on pancakes/ waffles because he loves peanut butter! Sandra we made these sandwiches, too. They also served them in our school lunchroom when I was a kid. Oh no…I would just eat it with a spoon. I should not have clicked the recipe link. I will try this today!! Hadn’t thought to use honey with the PB. I’ve been making a similar concoction since I was a kid, tho without the microwave. I mix butter, peanut butter and light corn syrup and stir it all up and eat it on toast, pancakes, etc. Quit walking around in my head! My mom used to make this over 50 years ago. I haven’t known of anyone else who made this outside of my little West Virginia home town. My mom made this many years ago but she added some cocoa and it was chocolate and peanut butter flavor and we put it over ice cream. I tried to recreate it not long ago and it was a mess. thank you for the ratio. I will try again. ps I made Jordan rolls last night. they were great.thanks Christy! I was trying to think of something this morning to put over a chocolate cake before I topped it with some whipped cream, cream cheese frosting. I knew as soon as I saw the email, this was it!!! I put the syrup and peanut butter in a pan on the stove over low heat and added some chocolate chips, then stirred like crazy til the chocolate was all melted, then poured it over the cake and poked some holes in the top. 🙂 Oh, boy!!! Thank you, Christy!!! My daddy used to mix sorghum molasses with peanut butter and put it on biscuits or any type bread… wasn’t something I liked as a kid, but I bet I would like peanut butter and honey! When we were growing up, my mom would put a tbsp or two of peanut butter in the middle of a dinner plate and drizzle some syrup over it. We “smush” it together with our fork. Then, we’d break toast into pieces and put it around the plate in a circle. We’d spear a piece of toast with our fork and dip it in the syrup. Yum!! Occasionally, we’d use biscuits, but the usual quick morning recipe used toast. I think I’ll have that for supper tonight!! My PMS problems have been solved! I love peanut butter on ice cream!!! 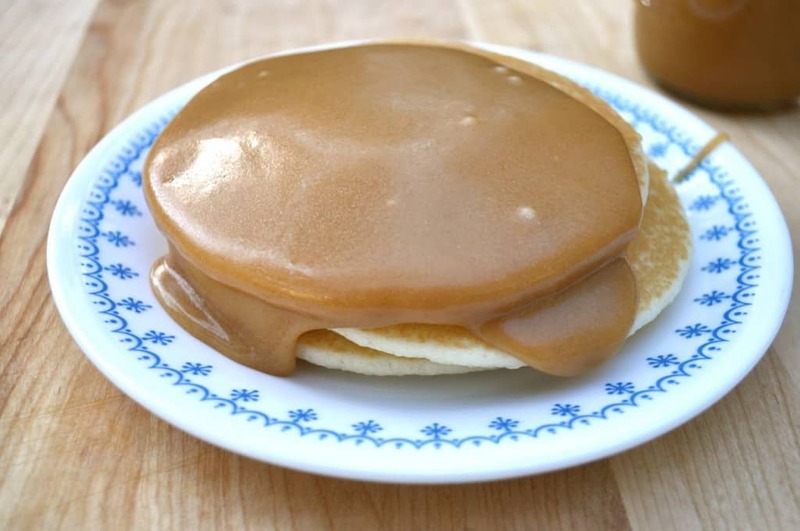 My dad used to be “in charge” of us on Sunday mornings before we went to church, and it was a steady rotation of pancakes shaped like famous golf courses of the world, and biscuits with THIS peanut butter “sauce” (as he called it) on them! Yummy syrup makes for yummy memories!!! Thanks, Christy!! I use condensed milk with peanut butter. It is really yummy too. Oh my word! I will definitely be making this! I eat an apple and peanut butter just about every day and I bet this would be good with the apple (or anything for that matter!). Had this as a kid with king syrup but like the others we would just mix it together on our plate. Taught my granddaughter how to do it on pancakes! Now we have one pancake with an over easy egg on top and then one with the peanut butter and syrup. I’ve had to cut back on peanut butter though because it is one of my migraine triggers if I eat more that an teaspoon or so. And I thought just us country folk here in Virginia ate this! oh girl – People act like I’m crazy when i talk about peanut butter ‘n syrup. We always had white Crafts (not Kraft) syrup from the old country store at Mt Rozell (which is near Lester, which is near Salem, which is NW of Athens for all you unfamiliar folks). Just a fork full of peanut butter, pour syrup over it, mix it up on your plate and put a biscuit in it. Oh man, one of the best things my daddy taught me! Makes my mouth water just thinking of it. I still get up from the breakfast table now & then to pull some out of the pantry. Of course, now its Karo syrup. BTW, Mt Rozell isnt too far from Cairo, AL! I did this in college when the cafeteria food was…well, let’s say not very appetizing. Great on apples, bananas, whole wheat bread, etc. Loved it! I use it in my oat meal with fruit, Cinnamon not instant oat meal either. Our favorite use of this peanut butter syrup is on French toast. Mmmm…. As a kid, Blackburn syrup was a staple and favored syrup in our home. Kristy, My mother would make some of the best peanut butter candy. As i remember she used water,sugar this would boil until thick, then added peanut butter. But cant remember the amount of each ing. If anyone has ever made this sure would like to know. How could i forget something so simple, yet so yummmmmmy! Yes, Sabrina, Crafts was the white syrup we used also ! What memories !!! Hey Julie, I would if I could. I’m terribly sorry for the frustration but it will require hiring a web designer and spending enough to pay off my car in order to make that happen. 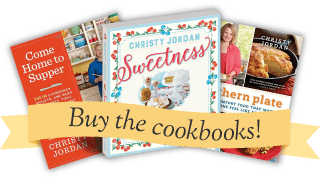 I prefer to keep Southern Plate free to the readers and so far have been able to pay the light bill based on stock ads I run on the site (SouthernPlate.com costs over twice our mortgage payment each month). I really appreciate your understanding and will certainly make as many improvements in the future as my budget will possibly allow. Another option would be to select print options and only print the pages that you need. For example, if the bar is page 3, then you only need to print pages 1-2. I just copy and paste the recipe in my drafts folder. so easy and I don’t have to print it if I don’t want to. It’s always in my draft folder. Hope this helps. Hey Christy! This sounds fabulous and we will be making some to put over ice cream tonight for dessert! When I told my husband about the recipe as we were eating lunch he said that he would use 2 parts Hershey’s syrup to 1 part Peanut Butter. Have you ever tried that? Would heating it ruin the chocolate/burn the syrup? I just wanted to let you know that I made a small amount of this recipe to see how it would work with Sugar Free IHOP pancake syrup. I used 2 tablespoons sugar free syrup and 1 tablespoon crunchy peanut butter. Oh my word, delicious. This stuff could be dangerous for us diabetics. I like peanut butter and butter on toast or an English muffin with a cup tea for breakfast. I am trying my peanut butter syrup on my English muffin in the morning, if I can wait that long. My Dad always loved something sweet after our meals. If my Mother didn’t have anything, he mixed peanut butter and syrup together and ate it. Yummy. I want to make this peanut butter syrup for my granddaughters for pancakes when they come next time. MMMMM. Thanks for sharing, Christy. As kids, we used to “sop” peanut butter and syrup with biscuits for dessert. Sometimes we would have syrup and cream or syrup and butter. Just pour some syrup in a plate and add a dollop of either, stir to combine and “sop”! By the way, Christy, do you use honey, Karo or maple syrup in your peanut butter syrup?